It is a well established fact that playing chess in school enhances students’ concentration, improves their problem-solving abilities and increases their self-esteem. Of course it’s good fun too and it helps forge friendships which are long-lasting. Chess helps students become more patient and it lets them realise that certain behaviour carries certain consequences. Interestingly, chess improves their recall, analysis, judgement-making and predictive skills. That’s pretty impressive for an extra- curricular activity isn’t it? The Chess Club was founded in the late 1970’s by a handful of students, who met as often as possible in the ‘Blue Room’. They competed against Christians and Pres, and fielded an A and a B team. Various teachers drove the lads to these challenges. They also played girls schools such as St. Al’s (Aloysius’), St. Angela’s and Mount Mercy, and no shortage of volunteers were to be found to play on these occasions. In all, about fifteen students participated in the club. John Buckley was the club’s first Chess Captain and his younger brother, the late Richard Buckley, was also one of the founding members. He has been honoured in the school’s Perpetual Richard Buckley Memorial Shield, since his untimely death from cancer in 2004. May he rest in peace. Our thanks to Kevin Murray, a former pupil and founding member, who kindly provided the aforementioned information on the history of our club. This year we were delighted to welcome Joseph Murray, to the school and the club. Joseph is Kevin’s son. A player to watch out for no doubt. St Francis College Chess Club has provided a forum for competitive, fun and brain-expanding, strategic-move computations ever since its foundation. Generations of young men have passed through our club and have benefitted from their time sweating the small-stuff in preparation for the big-stuff out there! At present there are three staff members facilitating and teaching chess: Mr. David Dillon, Mr Stephen Norman and Mr. John Weldon. In addition, Br. Jeremy Henehan, Cap, continues (despite taking up a new appointment outside the school) to support the club in a technical capacity, for which we are very grateful. We have approximately one hundred players in the 2016/17 academic year playing twice-weekly during lunchtime with additional chess coaching after schools on Mondays. The finalists of the First-Year Chess Tournament for the 2016/17 academic year pictured with their second and third-year supervisors Conor Sexton, Denis Popov, James Atchinson and Oisin O’Sullivan. Also pictured are mentors Br Jeremy, Mr Norman and Mr Weldon. 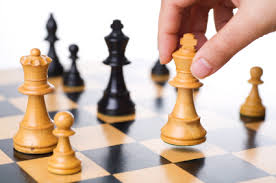 We would like to thank the Principal, Mr Diarmuid O’Mathuna and the Deputy Principal Mr Dan O’Regan for their ongoing support and their warm welcome for any new initiatives the chess club has proposed in recent years. This includes subsidizing much of the cost to parents of chess coaching by an international master. Finally, we would be grateful to parents, past pupils, practising and retired teachers and the public generally for any additional historical information on our club. For example: articles, photos, or perhaps just memories you recall. These can be forwarded to: The Chess Club, St Francis College, Rochestown, Co Cork via An Post or by contacting one of the facilitating staff through the school secretary on 021 4891417. Thank you. Hi there. I played chess for Rochestown from 1977-1983. I wasn’t a founder member but I was a good friend of Richard Buckley. Fantastic to see he is being remembered with your annual trophy. I can send you some more information on our playing days if you are interested.